CORONADO (AP) — Like a Hollywood star, Coronado’s 1.5 mile-long beach literally sparkles, thanks to the mineral mica glinting in its sand. That’s one of the reasons why Coronado — flanked by the iconic hotel featured in Marilyn Monroe’s 1958 film “Some Like It Hot” — has been named the No. 1 beach in the United States in this year’s survey by “Dr. Beach” professor Stephen P. Leatherman of Florida International University. It is the first time “Dr. Beach” has given the top slot to California in the more than two decades that he has been ranking beaches in the United States based on their environmental quality and safety for swimmers. 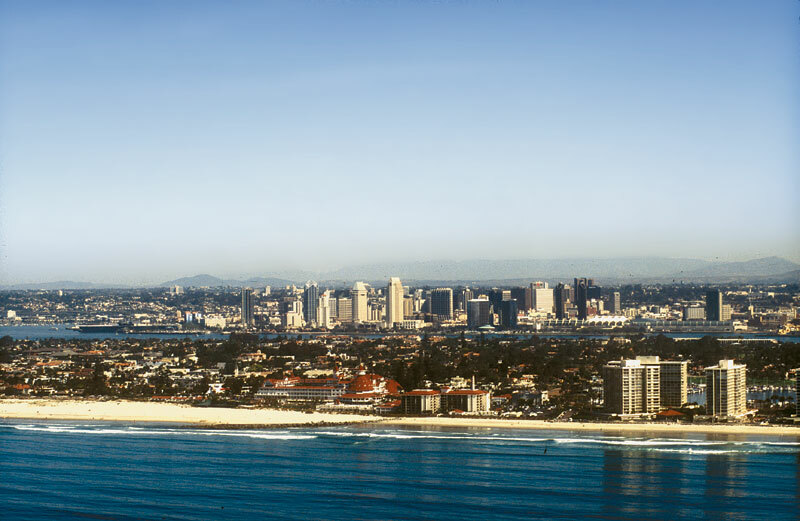 Coronado Beach, on a peninsula across the bay from San Diego, has near-perfect weather and a postcard-beautiful backdrop. Leatherman ranks beaches on 50 criteria, including the look and feel of the sand, water quality, weather, facilities and crowds. A top score is 250. Coronado came in the 230s, losing points because its water temperature hovering in the 60s allows for only a quick dip for most, Leatherman said. The top 10 list is in its 22nd year. Leatherman said he visits top 10 candidates incognito to collect sand and water samples for study.